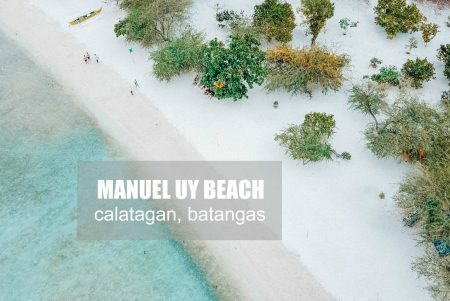 Like a jewel that emerges once the tide recedes, the Vanishing Island of Samal in Davao del Norte is one of the most scenic islands I have visited in the Philippines. Boarded on a massive white outrigger boat of Island Banca Cruises Davao loaded with drinks, seafood and lechon, our group went on an island hopping tour. 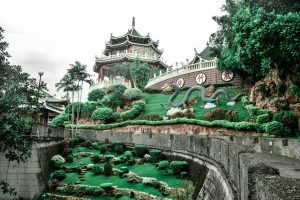 Davao del Norte is an impeccable destination for cheap holidays. And what could be better than spending my summer in this bountiful province courtesy of the Davao Food Appreciation Tour (DFAT) 2012. Pampered tourists on a posh banca, it’s like we’re partying while cruising. Island Banca Cruises is a better way to hop around the islands, it feels like you are actually taking the islands with you. 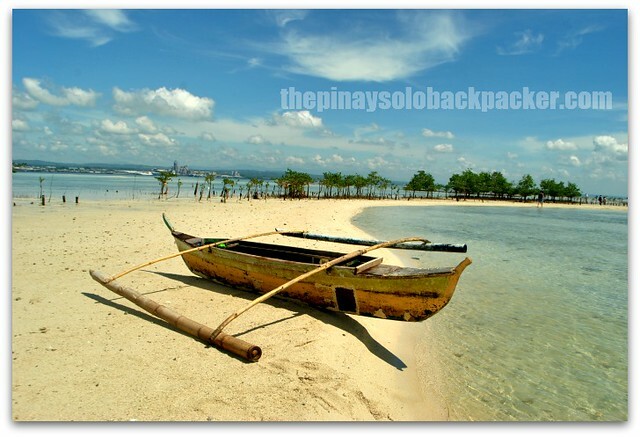 Vanishing Island is one of the many beaches and tourist attractions in Samal Island, Davao del Norte. The local authorities have recently developed this heavenly destination to attract more tourists. Mangroves have been planted around the island. 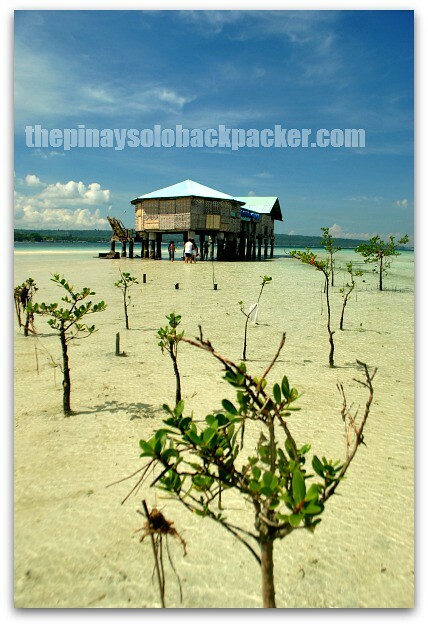 A lonesome cottage on stilts stands on the island while the bustling city life of Davao at the horizon serves as the backdrop. 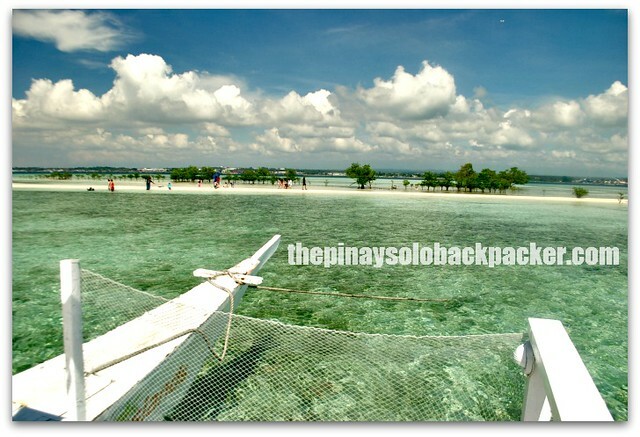 Vanishing Island in Samal, Davao is said to be a good dive site. Though we did not try snorkeling or diving here, the rich marine life is highly evident. 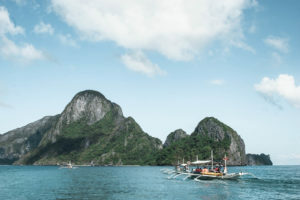 Getting off from our parked banca to the white shores of the islands, we saw sea grasses, small fishes, shells and starfishes from the crystal clear water below. Vanishing Island is indeed heavenly and I hope with its rise to fame as one of the best tourist attractions in Samal Island, Daval del Norte, this majestic place will be kept protected. Sta Ana Wharf (near Magsaysay Park) where motorboats are take passengers directly to Kaputian and Talikud Island. Sasa, Km. 11 wharf (Paradise Island wharf) where motorboats take passengers directly to Babak wharf. Sasa, Km. 11 Ferryboat Landing where passengers can ride the Island City Express Bus from R. Castillo and Cabaguio St. (Satellite terminal) and be transported by a ferryboat to the Brgy. Caliclic, Babak District. Or if you are near Brgy. Tambo, you can rent a boat to go to the island. Hire a boat from Waterfront Wharf . Hire a boat from Pearl Farm and Bali Bali wharf. nice to see this island again. maybe some of the baby mangroves you photographed are the ones we planted a year ago. happy! that’s one very beautiful place. It looks beautiful. I wished we stopped by when we visited Davao. Gael! 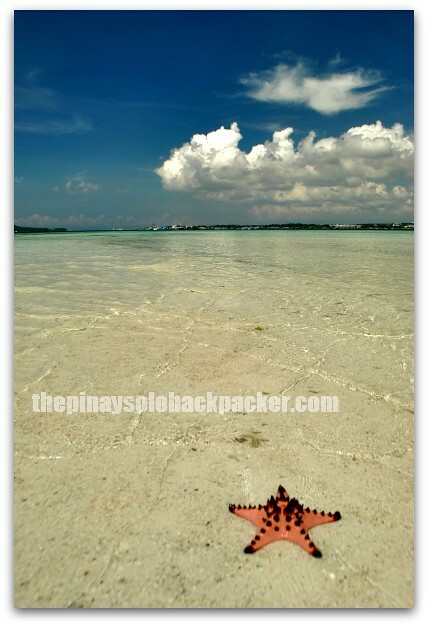 Thank you for posting about Samal. 🙂 It’s just too bad that we didn’t meet when you came to Davao. Hopefully, we get to meet someday. Btw, it’s Kadayawan Festival on August. I hope that a lot of the bloggers will visit us then. Let me know if you do. I’ll treat you to lunch. Cool.. 🙂 I’ll let you taste Davao’s local cuisine, specially the sinugbang panga, if you like. See you in Davao soon. Thanks! Wow.. Sobrang ganda naman jan.. Sana next yr mapuntahan q to. 🙂 Nice!!! gael, how much is the boat cost if rented from brgy tambo? will be travelling with my 80+ lola.. kaya kaya? roughly 1.5K cguro. not sure exactly because I went there on a sponsored trip. but I saw some huge boats that could accommodate up to 60 people/tourists. 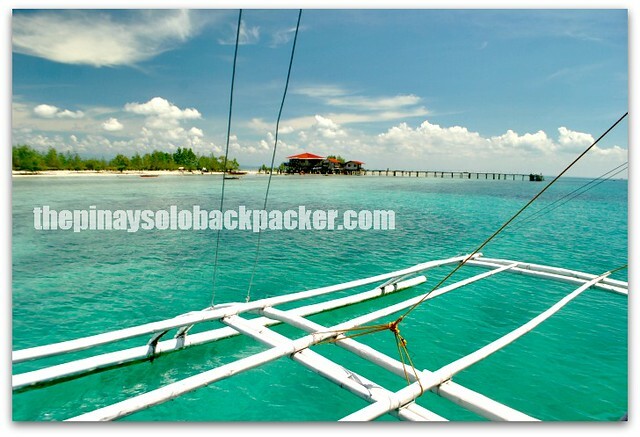 it’s like a passenger boat that goes around the islands of Samal. May mga public ferries ba na pumupunta to Samal island from any wharf sa davao ng mga 5-6PM?